At ProSmiles Dental & Orthodontics, we strive to be all things to all people when it comes to their dental needs, so for patients wanting to straighten their teeth, we’re more than ready to provide the specialized care they deserve. We have treatments that are suited for both children and adults alike, and they’re always designed to deliver beautiful results and comfortable experiences in equal measure. To learn more about your orthodontic options, give us a call. Why Choose Us for Orthodontics? Invisalign is an orthodontic treatment designed with adults in mind. Instead of brackets and wires, patients simply have to wear a series of lightweight, see-through aligners that slip easily over the teeth. Each one brings the teeth closer to their ideal positions, and in just 12-18 months, you’re done! They can even be taken off whenever a patient needs to eat or brush, helping Invisalign slip seamlessly into any lifestyle. 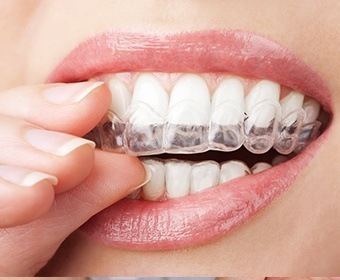 ClearCorrect is an aligner system that is perfect for patients who want to straighten their teeth without dealing with the aesthetic concerns of metal braces. The aligners are made using a precise digital scan of a patient’s smile, and this ensures that they have the perfect fit and a subtle appearance that very few people should notice. Because ClearCorrect is primarily manufactured right here in the US, it’s often a more budget-friendly alternative to Invisalign. 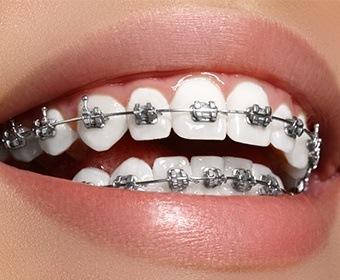 Traditional braces are still the most effective, durable, and affordable orthodontic treatment available today when it comes to correcting misaligned teeth and bites. Specially bent wires apply a small but consistent force to the teeth that slowly shifts them, and they are held firmly in place using metal brackets. They are the ideal solution for children, and young patients can even personalize their treatment by choosing the color of the rubber bands that hold the wires in place.